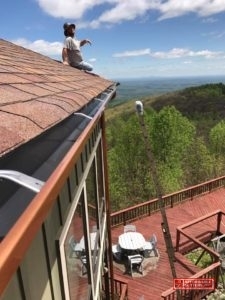 Affordable Gutters Plus, LLC is the one to call for your top quality rain gutter installation needs in Calhoun, GA. We supply your complete gutter and roofing services, giving you top quality rain gutter installation for your home. To help you rest easy, we endeavor to give you rain gutter installations that will last you as long as you own your home. Our contractors are skilled experts who are licensed to provide you with the best craftsmanship and customer service around. If you have any questions about rain gutter installation, we are always ready to advise you. 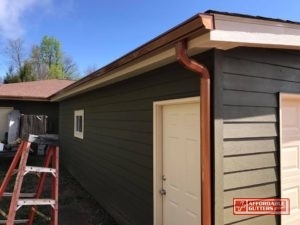 Contact Affordable Gutters Plus, LLC today at 770-735-4433 for your rain gutter installation in Calhoun, GA.
For all of your home services, choose Affordable Gutters Plus, LLC. With home services, our contractors install more than only rain gutter systems. Leaf Guard Gutters: Avert leaves from obstructing your gutters with leaf guard gutters. Metal Roofing: Defend your house with strong, energy efficient metal roofs. Roof Drainage Repair: With roofing drainage repair, you get a system that works correctly for your house. Get these and many of the other services you require for your home. Your roofing is the primary protector for your home, safeguarding the structure from damage caused by storms, winds, and hail. You can protect your roof with an expertly installed gutter system. Call 770-735-4433 for rain gutter installation in Calhoun, GA. Your house is a big asset and you want it to last you a lifetime. 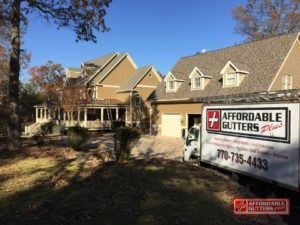 Affordable Gutters Plus, LLC knows that you should receive services that guarantee this, which is why we aim to offer you gutters that will last as long as you own the home. Our contractors are licensed professionals who work with you to ensure you get exactly what your home requires. No matter what service you need, you always get quality workmanship and superior customer service. For all of your rain gutter installation needs in Calhoun, GA, call Affordable Gutters Plus, LLC today at 770-735-4433.